Two Looks with Rose Wholesale - Leila D.
Today's outfits are from Rose Wholesale. They have so many wonderful choices, I always spend a long time on their website browsing. This time have ordered one top, coat and a jacket. I've paired the top with the pink coat to create a chic look and with the padded jacket for a more sporty look. 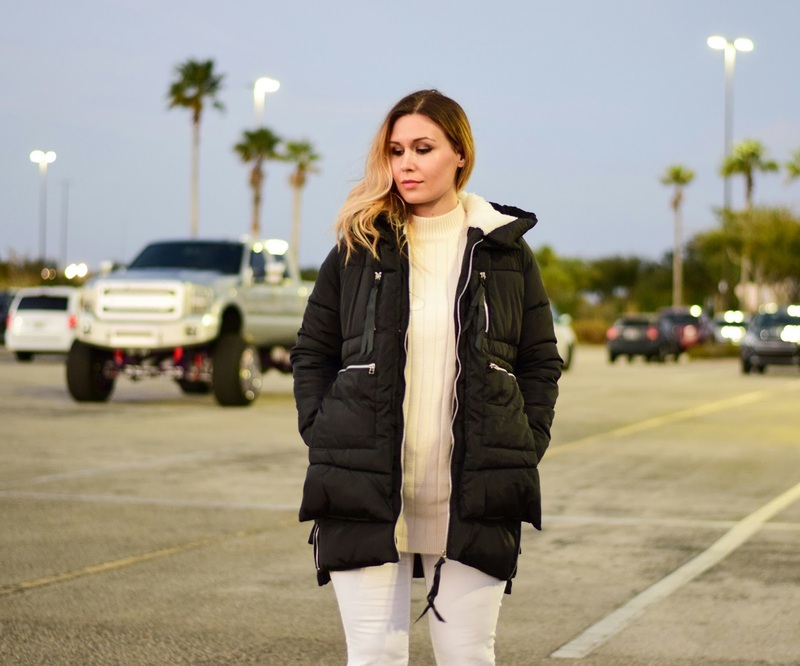 The padded jacket is a must-have for winter. It's warm, casual but still girly and chic. I love the zipper detail on the sides. The top is very pretty, a basic that everyone needs to have in their closet. It's so cozy, I'm definitely going to order another color. The pink coat is amazing. My favorite part are the unique patches and I don't mind that the color is a bit different than pictured on their website. I love it. *Brought to you in collaboration with Rose Wholesale, 7 Charming Sisters and eightyeight. All opinions expressed are my own. Great outfits witch makes you evergreen beautiful. Lovely style Leila! I now know what to get my girlfriend for Christmas! :) Thanks so much for sharing!! All about the patch look on the coat! The 1st look is definitely the winner for me. YOu make it look so comfy and yet so stylish. Leila, these outfits are so amazing . I can't get enough of them . :) Rose Wholesale looks like an amazing place to shop. I love the second look! That pink coat is gorgeous! I really really love the outfit with the pink jacket!! LOVE these outfits, you look stunning! I love both looks !! So inspiring! Thank you!